New York is such a beautiful city that once in a while you have to take a day to appreciate it. 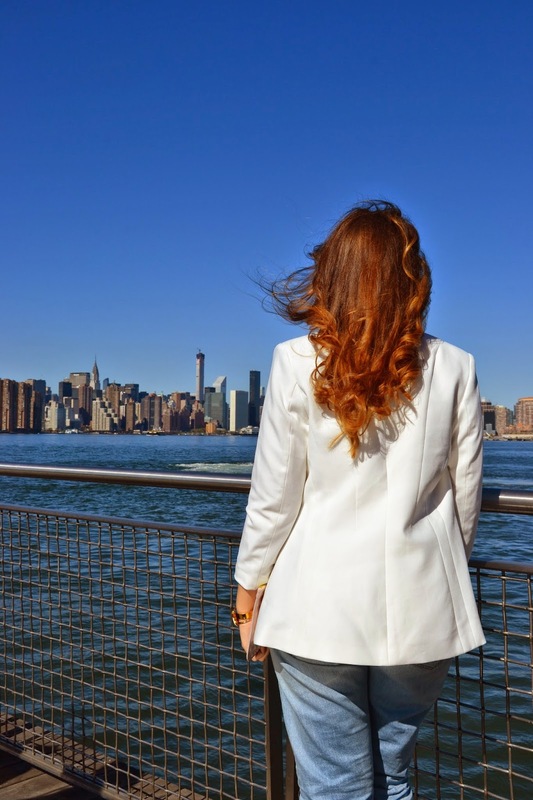 Where better to do this than in Brooklyn, overlooking the Manhattan skyline? This spot is one of my favourites in Brooklyn, especially on a clear day. 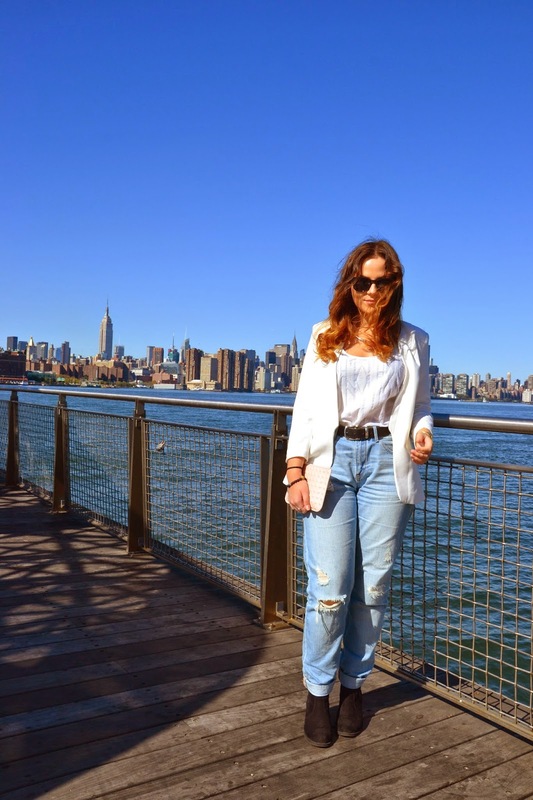 Have you noticed my obsession with my white blazer? It's just so chic and simple, and somehow never gets dirty! I love how it complements my ripped 'mom' jeans too. If ever in doubt with a casual outfit and you want to look more polished, pop a blazer on top and you're good to go. Definitely a wardrobe staple.